Only 4 weeks to go before the Gleeson Clan Gathering and preparations are well in hand. The Organising Committee met last night to review the current status and we are happy to report that the Gathering is shaping up very nicely indeed. Our finances are looking very healthy and pre-payment of tickets is helping our cash-flow a lot. So we would encourage everyone to book their tickets in advance for the lectures on Friday (10 euro) & Saturday (15 euro). 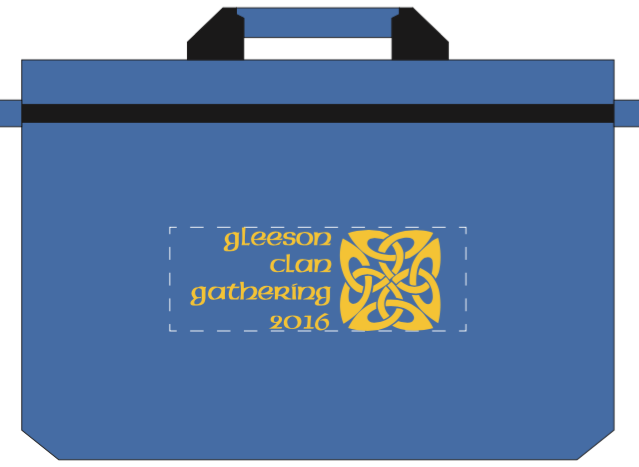 Simply email gleesonclan2016@gmail.com and we will send you an invoice that can easily be paid by PayPal whether you are signed up for it or not. 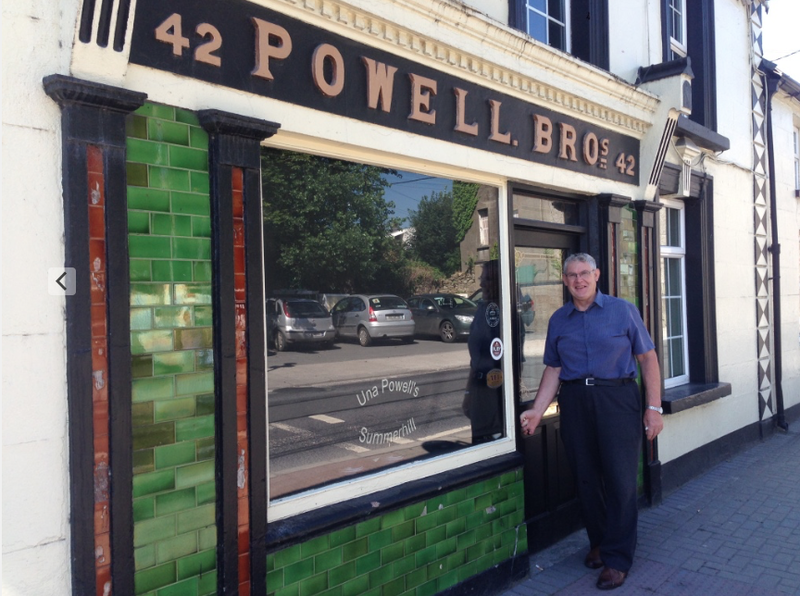 We tweaked the programme to include a venue for the social gathering on the Wednesday evening (it will be held at Paddy Rohan's pub) and the tea dance on Sunday is from 9pm (not 7pm) till midnight in the Scouts' Hall (some people will be meeting in the back yard of Una Powell's traditional pub from 8pm). Also, the map for the various venues for the Gathering has been updated and can be found here. There is also a new link to this map from the menu list on the right. 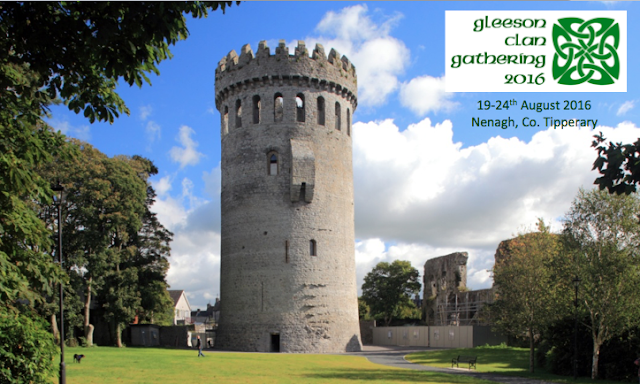 Accommodation in the Nenagh area is now very hard to come by due to the popularity of the Gathering (and a few competing events). But there are two 5-bedroom houses being held by the Abbey Court Hotel for anyone with a large party - perhaps several people might want to group together to rent one jointly ... if so, leave a comment below. Phone +353 (0)67 41111 or email info@abbeycourt.ie. As well as the Conference Bag and Programme, which people can keep as nice mementoes of the event, we also plan to produce a Proceedings Book and a Photo Album. We will have a photographer (Donal Quinn) taking photos of the lectures and the various trips and tours, as well as any paraphernalia of Gleeson interest that people bring in to the event itself. The Proceedings book will contain summaries of each of the lectures and will be illustrated with pictures, graphs, and charts. Both of these books will be self-print books so you will be able to easily order your own copy online. As this is a not-for-profit venture, these books will be inexpensive and the price will be determined by the cost of printing. That's the plan anyway. So if you haven't booked your ticket already, do it now and send us an email to pay for it in advance. To our American Family - Happy 4th of July! !